Apple would be smart to make good on speculation about new iPad screen sizes, a pair of analysts said today. 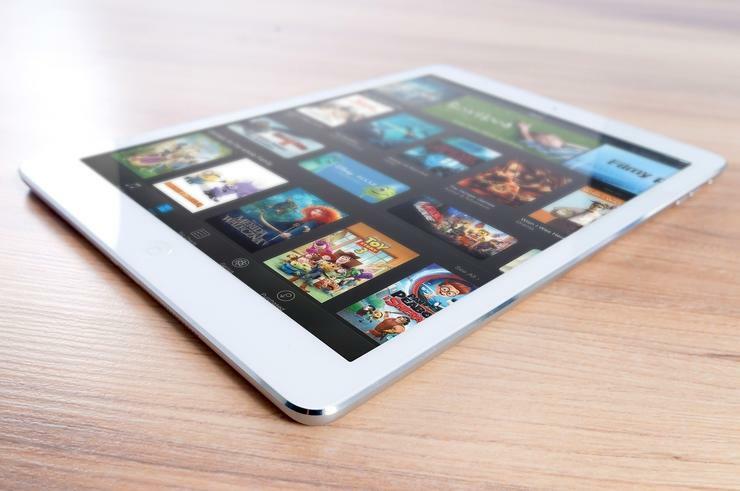 "The tablet has evolved from a general-purpose device to more of a specialized device," argued Bob O'Donnell, chief analyst at Technalysis Research, when asked about long-circulating rumors of a coming expansion to the iPad line. "Certain sizes are better optimized for more specialized applications." Talk of additional iPads -- notably one with a 10.5-in. screen -- has circulated for months, kick started by Ming-Chi Kuo, a financial analyst with KGI Securities. More recently, however, rumors focused on a spring launch, perhaps this month, perhaps in May or June. Apple last changed the portfolio's pricing in September 2016, but except for the 9.7-in. iPad Pro introduced a year ago, the hardware has remained static since the fall of 2015. And during that stretch iPad unit sales continued to contract -- the slump has now lasted three years -- and tablet revenue continued to shrink in raw numbers and percentage of Apple's total. Apple sold 13.1 million iPads in the December 2016 quarter, down 19% from the same period the year prior. Meanwhile, iPad revenue of $5.5 billion was 22% lower than in the December quarter of 2015. CEO Tim Cook has not changed how he has described the iPad to Wall Street -- in January, Cook again said he was "very bullish" on the tablet -- nor laid out a strategy to return the line to growth. O'Donnell saw portfolio expansion as a simultaneous recognition of market reality and a way to increase sales. "To support more of these specialized usages means a wider variety of screen sizes," O'Donnell said. "That, for me, would be logical. And it would let Apple expand the number of price points as well." The original iPad Pro -- the 12.9-in. device unveiled in September 2015 -- was a good example of specialization, O'Donnell contended. "It did well by bringing up the ASP [average selling price], but it's not a mainstream product," he said. Ezra Gottheil, an analyst with Technology Business Research, echoed O'Donnell on the usefulness of more screen sizes. "It makes sense to give customers a wider range of choices," he said. Expanded options would be in keeping with the tablet market's maturation, Gottheil added. "That's part of the landscape for products we buy for practical and entertainment purposes both," he said. Even so, it's unlikely that Apple can reverse the iPad's course simply by multiplying screen sizes. "There's nothing in the universe that will make a zillion people buy [a tablet]," Gottheil said. Long replacement cycles -- getting longer by the year -- and for many original purchasers, no intention of ever buying another tablet, doom tablets to, at best, growth rates miniscule in comparison to those of five or six years ago. Last month, researcher IDC portrayed the overall tablet market as in a "spiraling decline," and said Apple's flagship was starting to "show signs of age." IDC forecast that tablet sales declines would continue through 2021. How will Apple tackle its iPad problem? Gottheil assumed it will hold to its core strategy of producing integrated hardware and software at a premium price. "That's a good, solid business," he pointed out with a nod to the $19 billion in revenue during 2016. "But is it ever going to explode again? No." In January, Cook used a company-standard line when answering a question about the iPad. "If I zoom out of the 90-day clock and look at it, we've got some exciting things coming on iPad," Cook pledged. To Apple's executives, there's always something around the corner, even if that corner is shrouded in mystery or further away than expected. O'Donnell was more matter-of-fact. "People have not felt the need to upgrade their iPads. But [more screen sizes] may stem the bleeding," he suggested.